A disproportionately large number of eCommerce sites have “add-to-cart” buttons which are not actually tracked by Google Analytics (you may check a sample of travel bags ecommerce website done by us). Though information on the number of users you added a product to the cart comparing with number of those who completed purchase is very valuable for any marketer. For this reason, we refer to add-to-cart buttons as custom Google Analytics events that you yourself need to find a way of tracking. Let’s take a look at how to do this. Why Do I Need Ecommerce Data Analytics To Track Add To Cart GA? Ecommerce data analytics are super important if you want to optimize conversions and improve your websites. Conversions can be further boosted by tracking when a potential customer adds an item to their cart. Such tracking gives you crucial information that informs you can divide your visitors between folk who are adding stuff to their cart but not checking out and folk who are viewing products without adding anything to their cart. As mentioned, Google Analytics doesn’t automatically track these kinds of clicks. There are a number of third party shopping cart providers that track this google analytics events – but most don’t. On contrary to old versions of Google Tag Manager, there is no need to create a tag for click listener now – it’s already built-in. Let’s assume your CSS class is “button btn-cart” (usually it is on all ecommerce websites), so all you need to do is to ensure Click Classes variable is enabled. 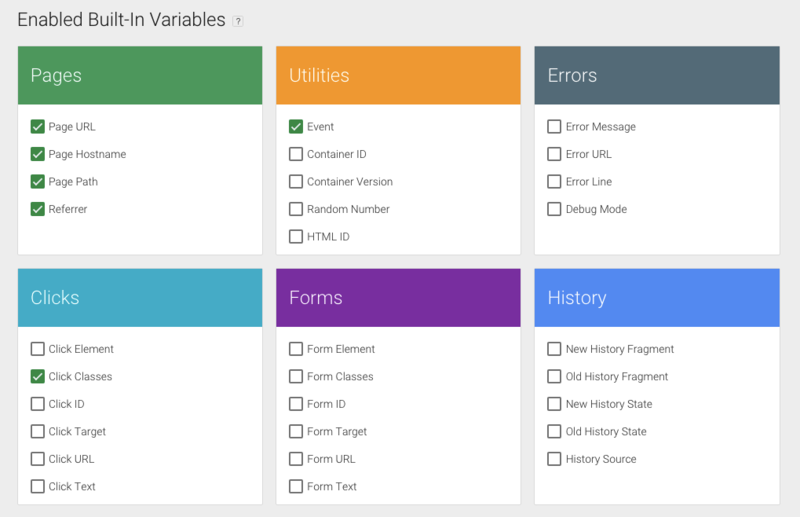 For this you go to Variables in the left panel and make sure Click Classes is checked. Next, you need to identify your Add to Cart button. Find a product page and find the Add to Cart button. Right-click it before selecting Inspect Element In Chrome. A window will pop up. Here you need to copy the CSS class “button btn-cart” of the HTML element, before heading back to GTM. It’s now time to create a rule where an add to cart GA event is only recorded when a visitor clicks the “button btn-cart” HTML element. 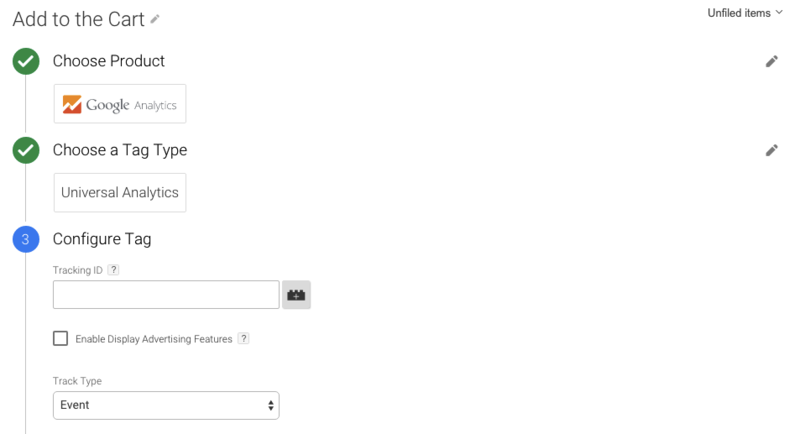 For this you go to the Triggers menu in Google Tag Manager. Then save, before testing and checking the results! Once all steps are done, you should start noticing new Events in Behavior reports. Please note that events will be written only since the date when tracking was enabled and it won’t affect the data your Google Analytics had prior to this date. If you need any help with setting proper tracking on your website, feel free to contact our team for professional assistance. Mobilunity offers services of professional ecommerce developers, who can solve variety of issues: from setting proper Google Analytics tracking for add to cart clicks to providing on-demand bugfix on websites. Feel free to request a quote today and we will start searching for the perfect engineer for you based on your job description. Start building your dedicated team of ecommerce developers with Mobilunity! Request a quote today!